Watching movies is one of my favorite things to do. Watching movies outside is my favorite thing to do in the summer. In this area, there are TWO places where you can watch movies on a big screen outdoors. 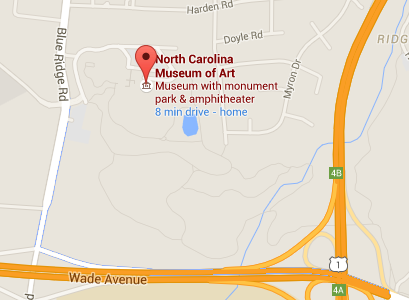 One is in Raleigh, and the other is in Cary. This summer, the museum is showing 15 great movies! Click here to see a list of movies, dates, and times. Tickets for movies cost $6 (children 6 and under get in free), and all the movies begin around 9:00, or after it gets dark. Some movies will have a show or concert before them. Tickets for these events cost more. Arrive early to get a good seat, and bring your own chairs or blankets to sit on. You can take food and drinks with you, but all drinks must be in sealed (never opened), non-glass containers. 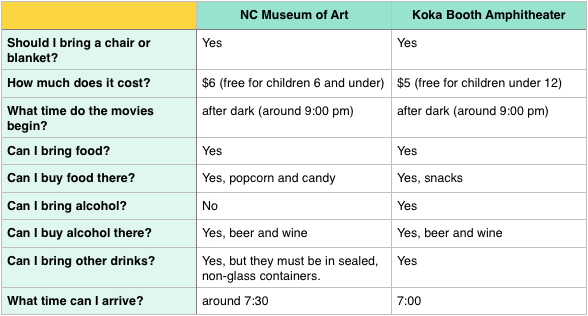 You may not take alcohol with you, but you can buy beer and wine at the museum. You can also buy popcorn and candy! This summer, they are showing 13 movies! Click here to see the list and dates. 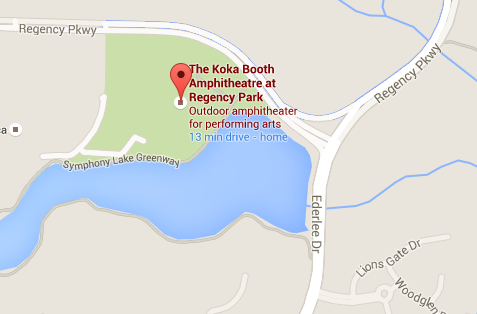 Like the museum, all the movies at Koka Booth begin after dark, around 8:30 or 9:00. You can arrive as early at 7:00, but the gate will not be open before then. Tickets cost $5 (children under 12 get in free), and here, you can bring food and drinks, including alcohol. Don’t forget your chairs or blankets, and enjoy the movies! ← How Much Should You Tip?